Dreams Can Happen and Backpacks for Life are sponsoring another charity fundraiser! Please join us and enjoy a beautiful day of food and entertainment in picturesque Verona Park. Just like last year, breakfast will be served early - lunch & desserts will be set up in the afternoon. Rain date is Sunday September 27 (the next day) at the same time - 9:00 am. You can sponsor a court for $250 or join the tournament for $100. You could not have asked for a more perfect day in Essex County. Seventy seven degrees and sunny, with a slight refreshing breeze. Pat was grilling hamburgers and hot dogs, while Frank Sinatra and Dean Martin were singing away. Sweeping the Bocce court is important, divets will ruin a good toss. The winning prize was four $50 gift cards to PJ Rufo's ! Mike V. of the blue team lets a bocce ball roll down court. The blue team was in top ranking until the tournament started, unfortunately after things got "rolling" the blue team was rolled over. 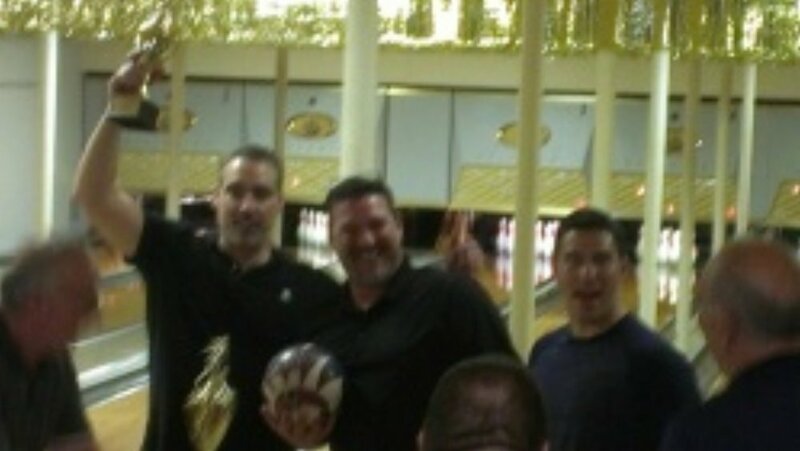 Everyone was a winner at the DCH bowling night, here was plenty of pizza, sandwiches, wings and beverages for all. The success of the night was only surpassed by the atmosphere of that all enjoyed.